Looking for a local San Diego printer? 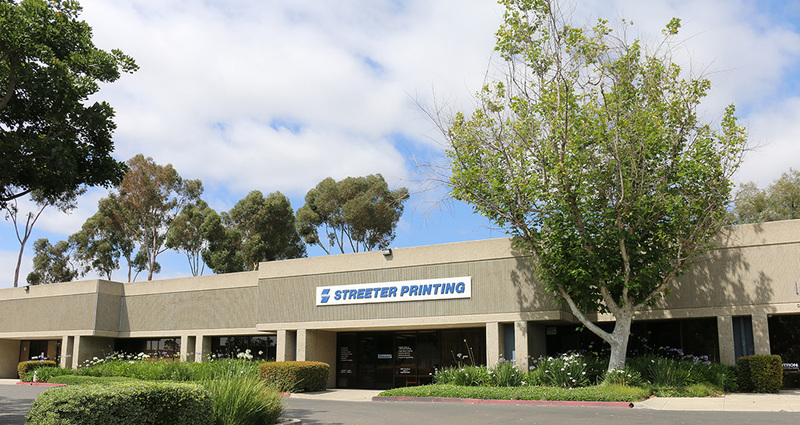 Streeter Printing was founded in 1980 by Adrienne and Jack Streeter. Adrienne was raised in a printing family and Jack later joined the printing profession. Jon Streeter joined the firm in 2003, thus creating 3 generations in the printing business. A strong commitment to excellent service, knowledge of the latest printing technology and a high-quality printed product has always been and will continue to be the foundation of Streeter Printing. The "hand-picked" Streeter Printing team consists of 25 professionals who embrace the same high standards that define Streeter Printing. They operate with integrity and honesty while providing you with competitive pricing, and the product you need with the service you deserve.